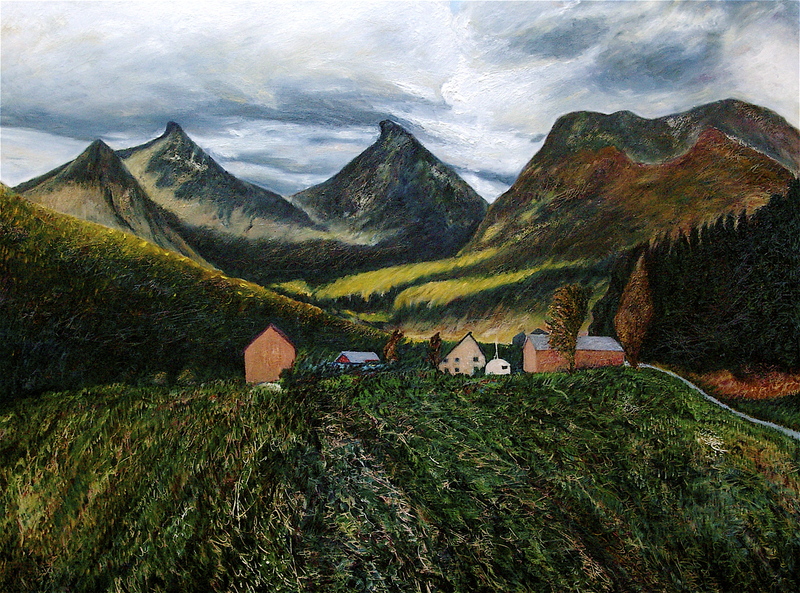 Field and mountains, oil on canvas, 174 x 225 cm. 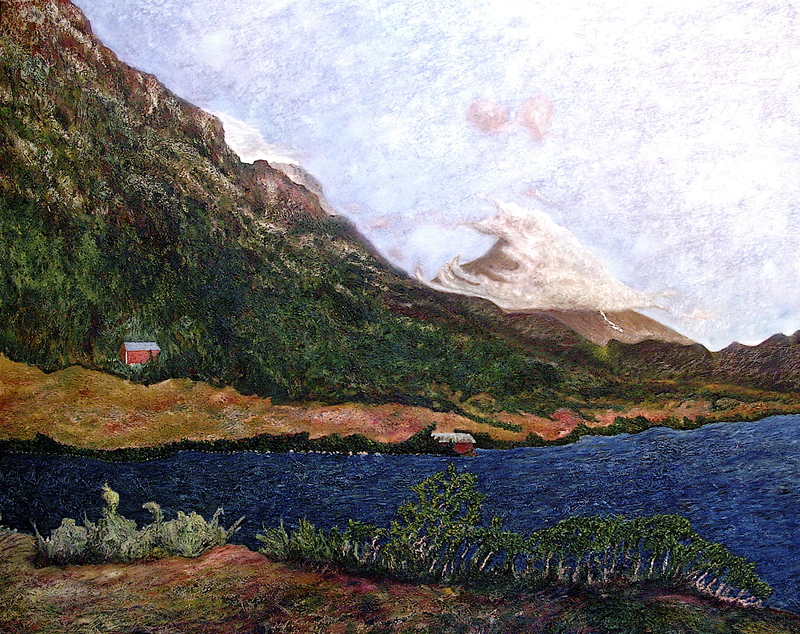 Lake Vision After Dreaming, oil on canvas, 178 x 225 cm. 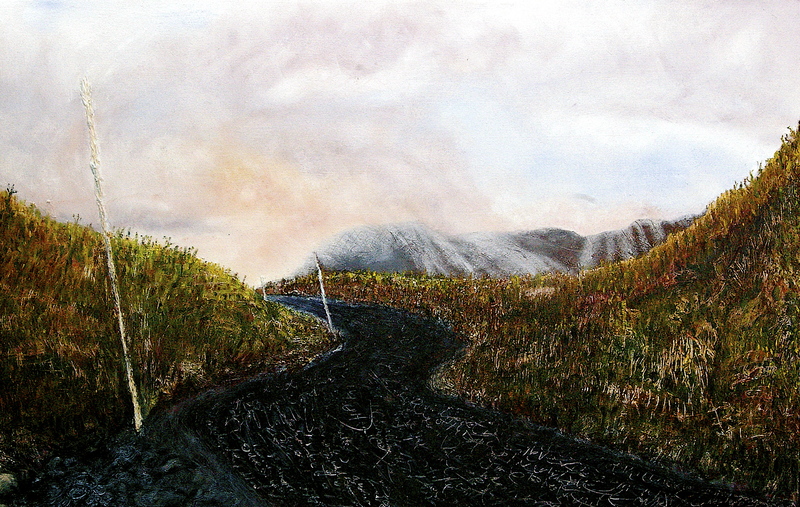 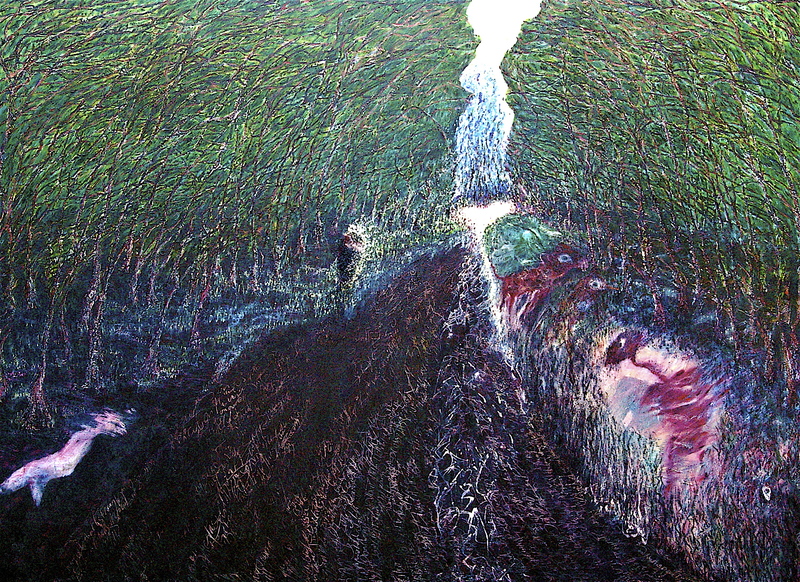 The Road to the Hereafter, oil on canvas, 168 x 223 cm. 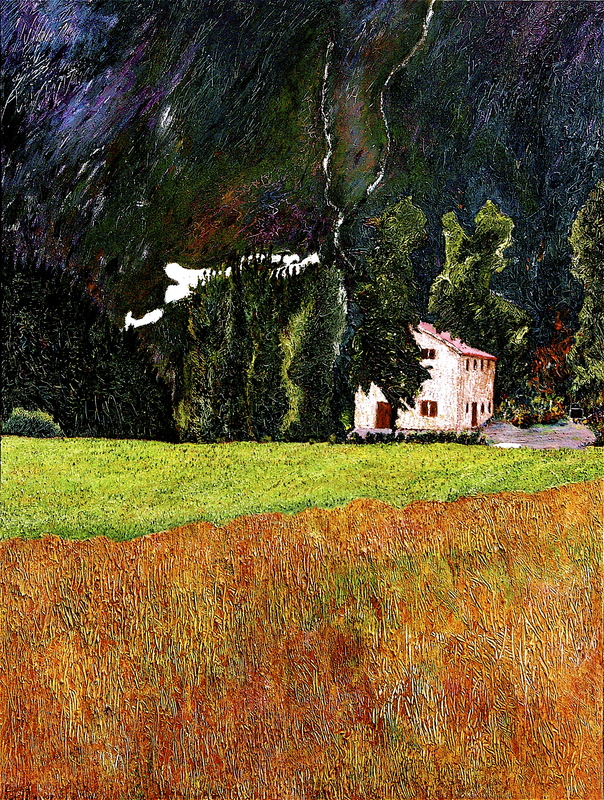 House with Melting Snow, oil on canvas, 135 x 104 cm, (private collection). 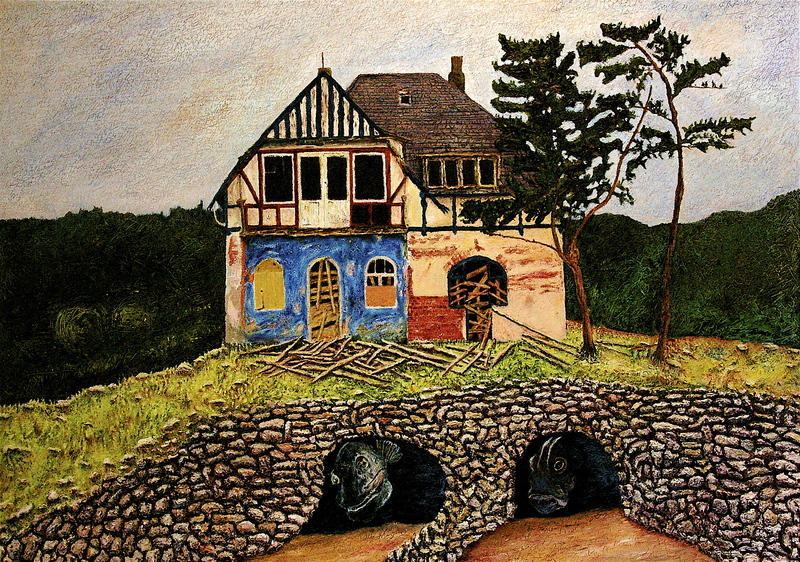 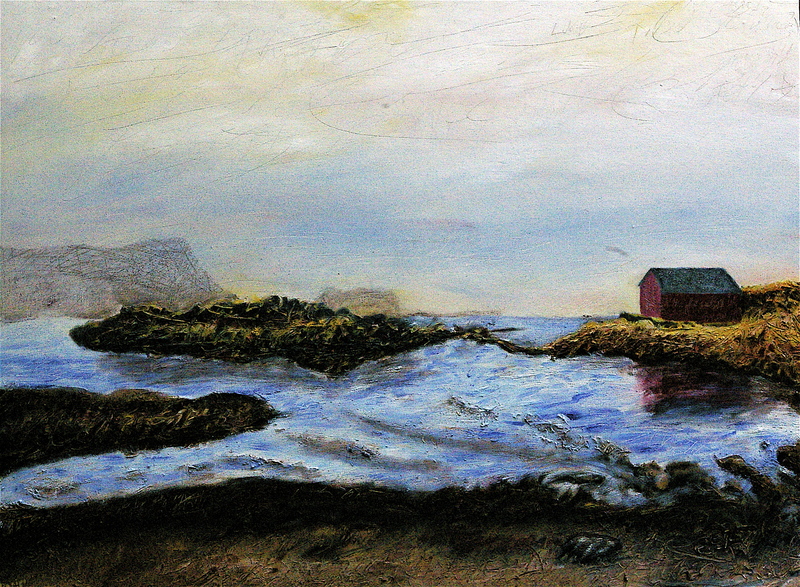 House at the Harbor, oil on canvas on board, 61 x 81 cm, (public collection). 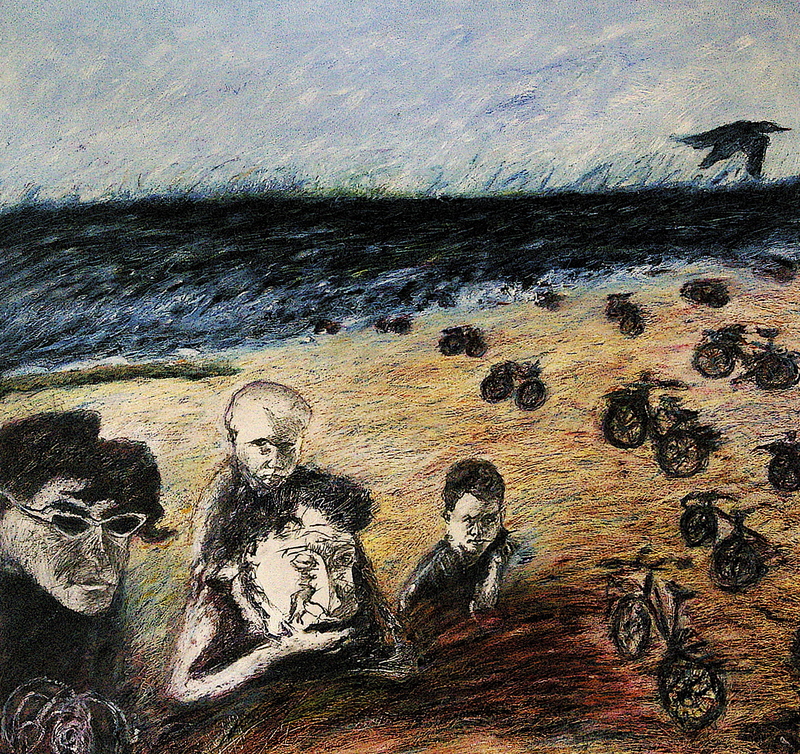 Childhood Composition 3, Family by the Sea, mixed media on paper, 70 x 72.5 cm, (private collection). 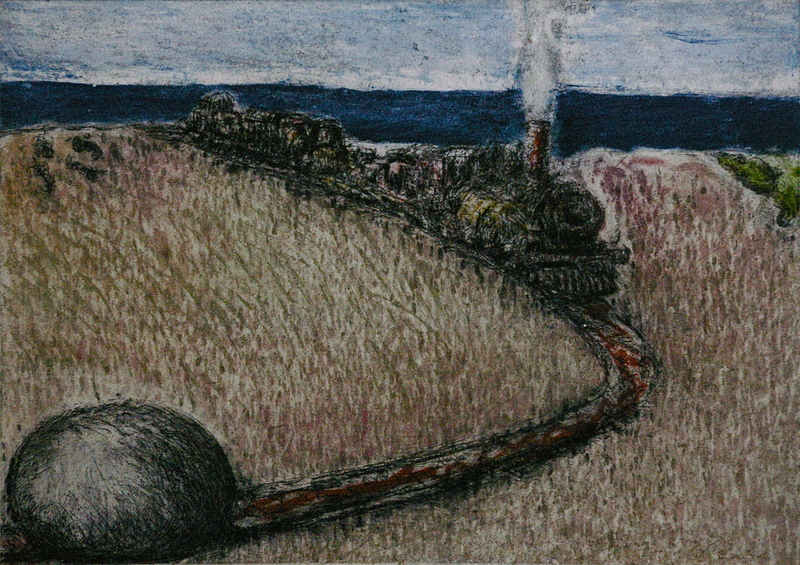 Train Robbery, etching and aquatint, 15 x 21 cm, edition of 20. 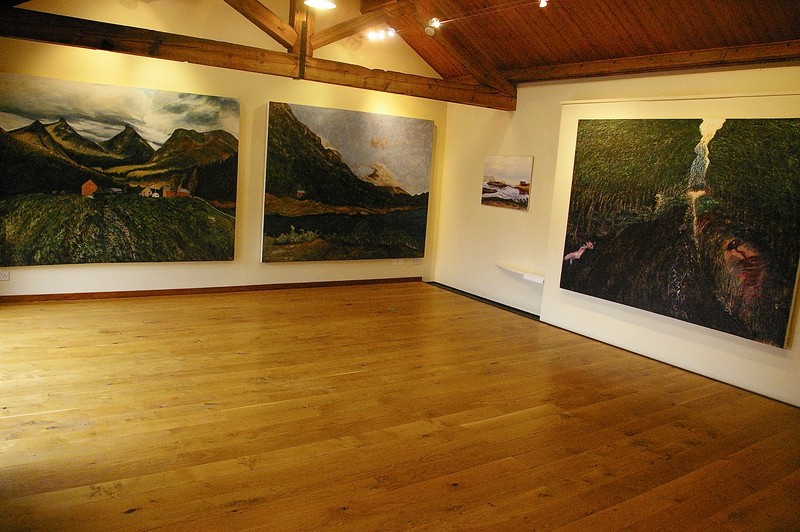 Exhibition at the Mews, CAP Foundation, June, 2007.